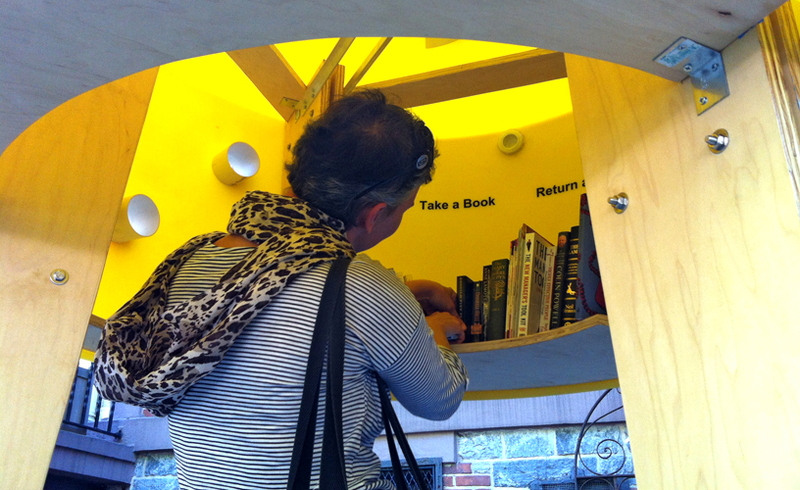 Little Free Library is an installatipon designed by architects Stereotank in partnership with the Architectural League of New York and Pen World Voices Festival. Ten designers were chosen to create one Little Free Library each in Downtown Manhattan. 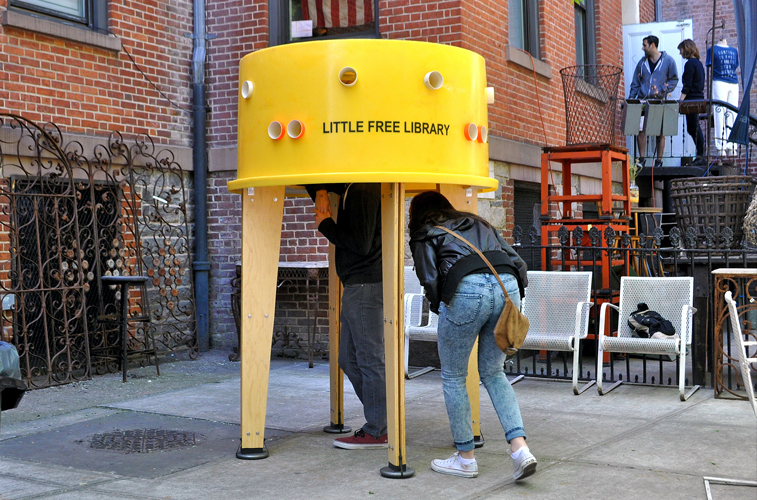 Stereotank was selected to design a Little Free Library at St. Patrick’s Old Cathedral School in Nolita.